Last night I submitted a book chapter I had committed to finishing before August 14th. Actually, I had promised I would have sent it sometime in July. 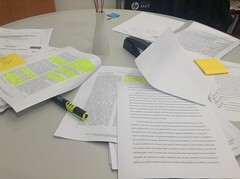 Nevertheless, I didn’t think about the fact that this had been an incredibly exhausting semester and that I would actually need to take the three weeks holiday that CIDE has during the summer. So on Thursday at 1:30pm I started writing, from scratch. I finished the paper at 7pm on Friday. 8,000 words, 10,000 with bibliography. Decently coherent, and will probably need a few revisions from the editors and the external reviewers (it’s a peer-reviewed book chapter). I, the proponent of “write two hours every day“, did binge-write for once. Tsk, tsk. 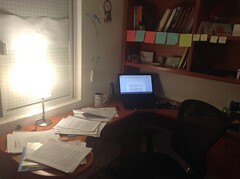 So, why did I binge-write when I am so against it and when I’m one of the proponents of “writing two hours every day”? Well, firstly, because I was on deadline. Nothing motivates me so much to finish something as a deadline. The editors of this particular book have been incredibly good to me. They’ve been kind, they’ve been collegial and they’ve also promoted my work everywhere. I felt that it was my duty to have the book chapter done before they had to submit the manuscript to the university press. Secondly, because I already had pre-written the paper in my head. I found an old draft (2013) of a similar paper I was planning to write. It used the same three theoretical frameworks. It followed logically the same way as this book chapter. Clearly, in my head, I already knew what I was planning to say and what I wanted to write. It was really just a matter of getting words into the paper. Thirdly, because I was well rested, focused and prepared to write. For the first time in months, I took time for myself, really for myself. I went out alone and went to the movies. Every day of this week. I had dinner by myself, and I basically socialized with no one. This helped me clear my brain and feel as though I had disconnected completely from academic life. So when is it ok to binge-write? I think I need to reformulate this as: “everyone has their own method“. Mine is based on discipline-writing. I have been raised using pretty strict calendars and schedules to organize my life, and this has translated into how I do my research, teach and write I use every bit of time I have to complete at least 10 hours of writing a week, even if not all the writing is generative. For example, much of the writing time I’ve had in the past couple of months has been me summarizing literature, typing my field notes and writing memos. It’s not “research manuscript” or “journal article” or “book chapter” writing, but it’s stuff that will end up helping me move forward with my research. When I first started writing about my scholarly process, I experienced backlash from other binge-writers, and from folks whose schedules don’t allow for the kind of focused writing I can do. I always have acknowledged my privilege. I’m single, don’t have kids, and I have a very low teaching load (2 courses per semester), plus I have 1.5 research assistants (e.g. I share 50% of the time of one of my RAs and I have one full one). But my mantra is always “even 15 minutes help”. Whatever little time you can use to write, just use it. And that’s exactly what I did with this book chapter. 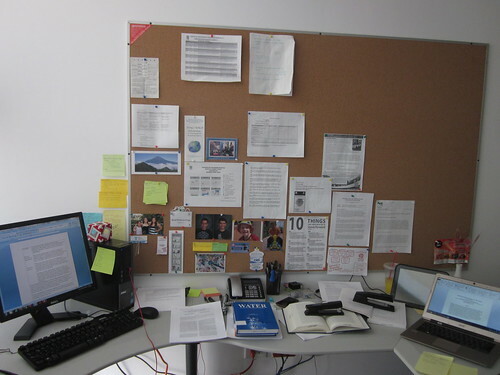 All of a sudden, it was the end of my holiday weeks (Thursday) and I had already cleaned up my office, organized everything, filed everything and was ready to write with a clean slate. So I just went for it. And I didn’t binge-write for 24 hours non-stop. I wrote from 1:30pm to 4:30pm, had lunch, came back at 5:30pm, wrote until 8pm, then started writing again at 11:30am, went for lunch at 4pm, came back to writing at 5pm and finished off the manuscript by 7pm. And I went to the movies on Thursday night. I am not a “proponent” of binge-writing, but sometimes you just got to do what you got to do. Tagged with AcWri, binge writing, discipline-writing.